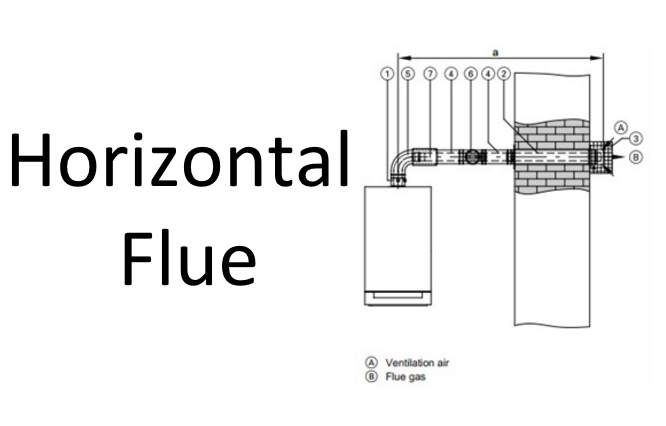 Horizontal vs Vertical Flue. What is the difference? A flue pipe is an integral component of home heating installations. It is usually located at the fireplace, furnace or water heater installations. Exhaust gases and other byproducts of combustion are expelled into the outside atmosphere through the flue. In this way, pollution of indoor air is prevented. There is an additional charge for a horizontal to vertical flue as a roofer is required. Bolt on charge is added for additional components needed for flueing , all will need extra material and labour charge.